Congratulations! You’ve decided to buy a home! It’s an exciting time, whether you’re looking for your first home, your second home, or your next home. Searching the market for the best home for you in your favorite part of town that has everything on your wishlist is one of the most fun adventures you can take. But before you jump into purchasing your home, there are a few things you need to know. Most importantly, unless you’re a Rockefeller (and even if you are), you’re probably going to need a mortgage. But how much do you really know about mortgages? To help you ensure that you are fully prepared for your mortgage, the helpful folks at Dime Community Bank have put together a helpful primer of all the terms you should understand before you sign on the dotted line. Amortization — When you borrow money from a mortgage lender or bank (like Dime), you’ll have a monthly mortgage payment. Each payment will be split: some of the money will reduce the loan balance, and some of it will pay down the interest. This allocation is amortization. At the start of your loan, most of the money will be paying the interest, but over time, you’ll pay down the interest and more of it will be allocated to the mortgage loan balance (also known as the principal). Adjustable Rate Mortgage — Also known as an ARM, an adjustable rate mortgage is one that has a fixed mortgage rate for a specific period of time. The rate generally lasts for 1, 3 or 5 years. During that first period, your interest rate will typically be lower, and after that it will adjust based on an index of set intervals. Appraisal — This is an inspection that is conducted by a professional appraiser to determine the estimated value of a property. The appraiser will look at the physical inspection as well as comparable houses in the area to determine the appropriate value. Closing Costs — When you close on a house, there will be specific costs that the buyer must pay during the mortgage process. There are several closing costs associated with a mortgage, including but not limited to attorney fees, recording fees, escrow fees, transfer taxes and more. Down Payment — This is the amount of money you pay upfront for a house or property. Generally, lenders require a specific amount in order to qualify for a mortgage. The typical down payment is usually 20% of the cost of your house. Escrow — During the closing of your mortgage, you will typically be required to set aside a percentage of the yearly taxes to be held by the lender. On a monthly basis, your lender will also collect additional funds to pay the taxes on the home. This escrow account is managed by your lender, who is responsible for sending the tax bills on a regular basis. FHA Loan — The Federal Housing Administration offers government sponsored loans that allow you to purchase a house with a much smaller down payment. This may be a good option if your credit score isn’t stellar. You could purchase a home with a down payment as low as 3.5% with an FHA loan. Fixed Rate Mortgage — This is a mortgage where the interest rate and the term of the loan are negotiated and fixed for the life of the loan. Most fixed rate mortgages range from 10 to 40 years. Homeowner’s Insurance — Before you close on your property, you have to secure property insurance for your new home. The policy needs to list the lender as a loss payee should something like a fire or other major event damage your home. It’s just like having car insurance, and you need to have it in place before the loan goes into effect. Mortgage Insurance — If you include a down payment that’s less than 20%, your mortgage provider may require you to take out mortgage insurance. This helps protect the lender in case you default on the loan. FHA loans often require mortgage insurance. Points — When you purchase points, you are paying more upfront to lower your interest rate. Each point is the equivalent of 1% of your mortgage. How much your interest rate lowers depends on a couple of different factors, like the type of loan, the lender’s policies and the mortgage market. Preapproval — Before you start looking for a home, you may want to get preapproved by your mortgage lender. This means that the lender checks your credit rating, finances and more to determines if you are a good candidate for a loan. Becoming preapproved before you start house hunting could make you a more desirably buyer for a home should you come up against another person interested in the same property. Principal — The principal is the amount of money borrowed for to purchase a property. It does not include the interest rate on the loan. The principal goes down with each regular mortgage payment. Title Insurance — There are two types of title insurance, and both protect against any disputes about the title like tax or contractor liens. Lenders usually require homebuyers to purchase one type of title insurance: lender title insurance. You can also get owner title insurance to protect yourself from any future claims. Underwriting — At some point in the process, your loan application will the sent to “underwriting.” This is the review of your loan to make sure it should be approved. Underwriting will take a look at your credit history, income, assets, liabilities and other factors to ensure that you are a good candidate for the loan. 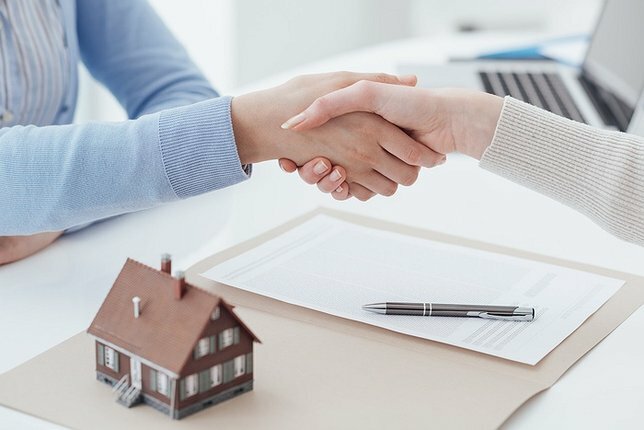 If an underwriter denies your loan, make sure you find out why, as you may be able to dispute it based on their reasoning. Need more help understanding the mortgage process? The Residential Mortgage Team at Dime is always available to help. Subject: LongIsland.com - Your Name sent you Article details of "The Dime Mortgage Primer"